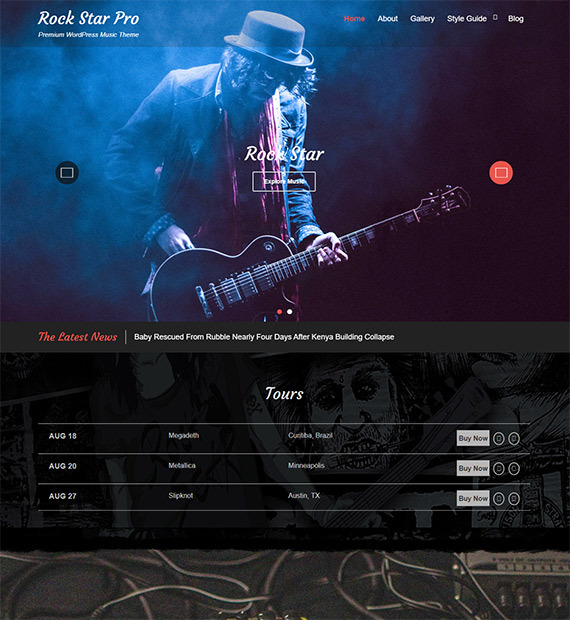 Rock Star is a music-oriented WordPress theme that sports a responsive and sleek design. The HTML5 and CSS3 powered theme provides all website elements that an aspiring rockstar needs in this competitive market to stand out. Easily build a fully customized website with various logo, background, colour and layout options. Besides letting you build a list of your upcoming events, the theme lets you create a featured section for your music, the latest news regarding your band or music, a fully responsive gallery and carousels, about-us section, breadcrumbs and more. The theme features social media integration as well for your convenience. Display the timetable with singers’s availability, club’s music events and more. In build timetable or deep integration with event calendar plugins do the work. Display the team of doctors on service! Do it creatively with each member in different layout with the advanced option for team layouts.